Indoor, outdoor, beach, high school, recreational, college, wherever you bump, set, spike, whatever your level, protect your body from the impact of playing volleyball. 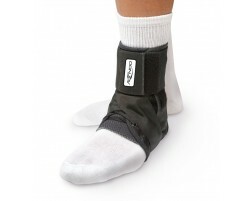 Our experts recommend these braces for volleyball players looking to protect their knee, ankle, and elbow. 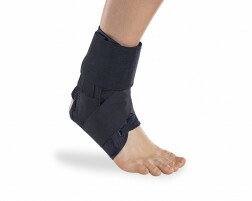 Whether you have an existing injury or need added stability and want injury prevention, wearing a brace during your volleyball game will help support your joints and ligaments. Volleyball is a fun sport enjoyed by players of all ages. However, like most physical activities, volleyball puts your joints at risk for injury. Athletes benefit from wearing volleyball braces that provide stability and support for these areas of the body. The knees in particular may take stress from the impact of the knee against the ground when diving. That's why wearing our best volleyball knee pads, the DonJoy Spider Knee Pad is extremely important. Volleyball players are also at risk for ligament injuries from the side to side (lateral) movement in volleyball, especially women. 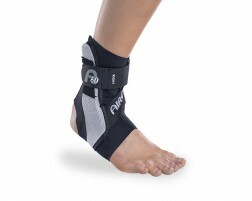 Women can protect their ACL with the Female Fource ACL brace. Other areas of the body may be at risk for injury during volleyball, such as the wrist, elbows and thumbs. There are volleyball braces and elbow pads for these areas of the body as well. Professional volleyball players may also benefit from using electronic muscle stimulation to work out the muscles between matches. They help exercise the muscles without fatigue.